Today I took out my daisy delight stamp set to play with. I haven´t played with it in ages so was time to take it out. It´s a thank you card. 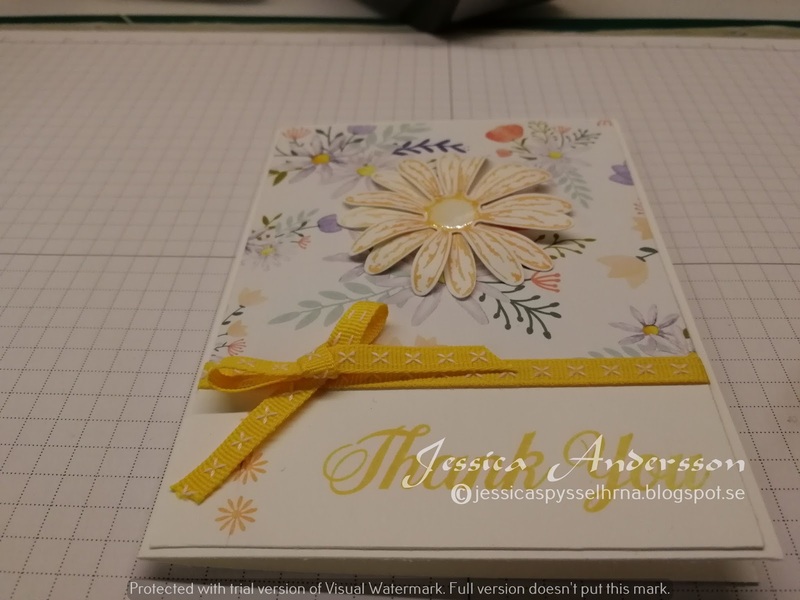 I used the thick whisper white card stock as my base then layered another whisper white layer. Then som DSP from the matching set of paper. All the stamps is from daisy delight and then I added som double-stitched ribbon in daffodil delight. In the middle of the daisy I have som glossy accents. Colours for the stamps is peekaboo peach and daffodil delight.